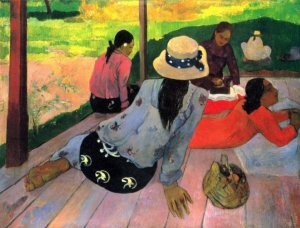 Paul Gauguin (goh GAN) was born in Paris, France. His father died while the family was moving to Peru. Paul with his mother and older sister Mari continued on to Peru and stayed with rich relatives there for six years. When he was seventeen years old he became a sailor and traveled around the world. He spent some time in the Navy, then became a stockbroker's clerk in Paris. He became quite successful at the stock exchange and also began painting during his free time. 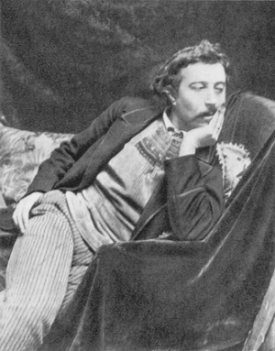 He married Mette Sophie Gad in 1873 and they had five children; Emile, Aline, Clovis, Jean Rene, and Pola. Ten years after their marriage he left his family. He had quit his job as a stockbroker to spend full time painting. His income from his paintings was not enough to take care of his wife and children. What a shame! Today a painting by Gauguin may sell for as much as $39 million. Because he wanted to devote full time to his art career, he sent his family to live with his wife's parents in Copenhagen. 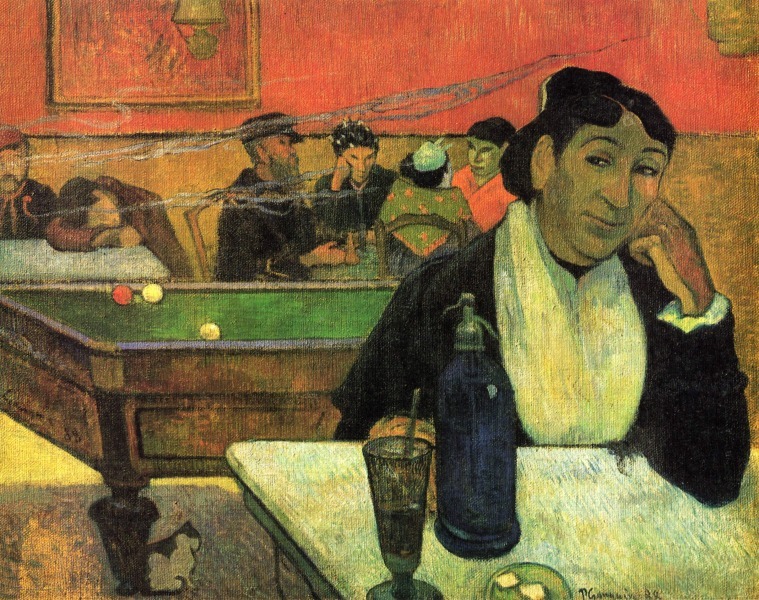 Gauguin abandoned them and went back to Paris. 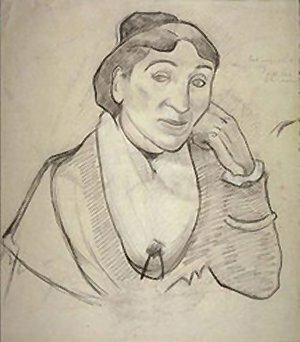 Van Gogh's brother Theo, who was Gauguin's art dealer, suggested Gauguin visit his brother Vincent Van Gogh. 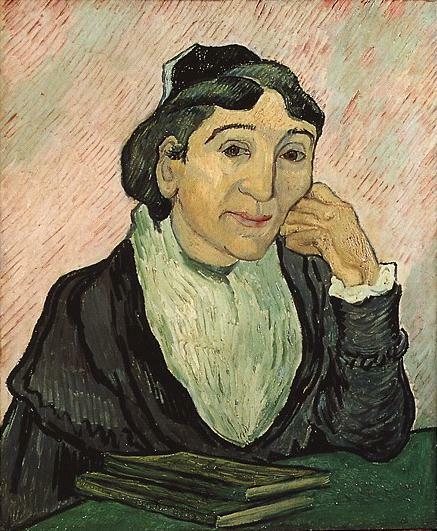 Gauguin and Van Gogh did not get along at all, and the visit ended after Van Gogh cut off his own ear. The first picture below shows a painting by Gauguin, L'Arlesienne (lar lay zyen) sometimes called Madame Ginoux. He attended the Universal Exhibition in Paris and was fascinated by the display of a Polynesian village. Later in 1891 he decided to escape civilization and sailed to the South Seas. He spent the rest of his life on Tahiti and the Marquesas Islands. Many of the paintings he produced in his later life reflect the tranquil scenes he viewed in this setting. The next scene is Tahitian. 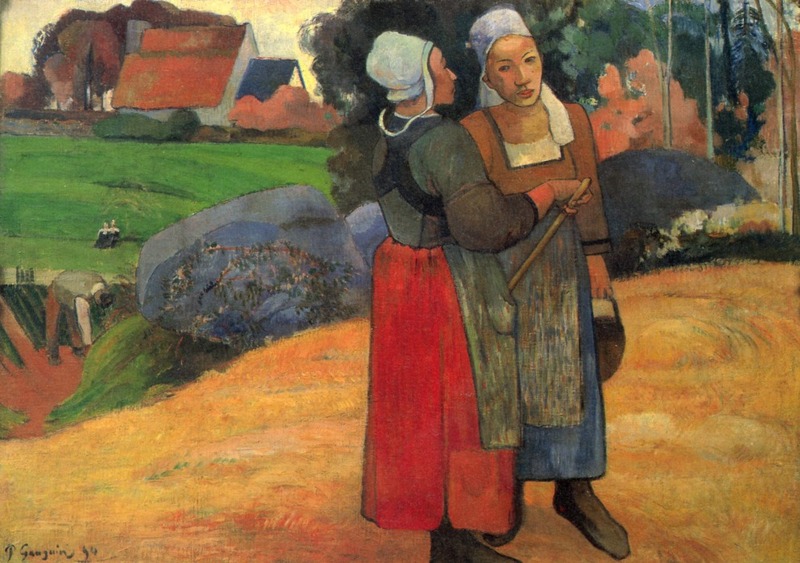 He returned to France in 1893 and Breton Peasants depicts a French scene. The following year he returned to Tahiti. During these years he also fathered three more children; two daughters and a son by Tahitian women. One of his most famous works "Where Do We Come From? What Are We? Where Are We Going?" was painted in 1897. 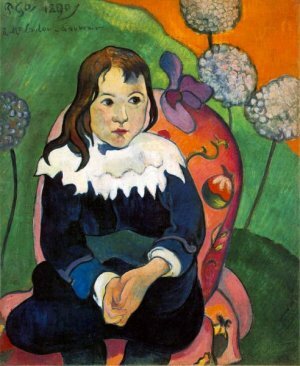 Apparently Gauguin was troubled by trying to find the answers to these questions. He tried to commit suicide shortly after he finished the large painting. In 1903 due to a problem with the church and the government he was sentenced to three months in prison, and he owed a fine. At that time he was being supported by an art dealer. He died before he could start the prison sentence. His body had been weakened by alcoholism and a dissipated life style. He was 55 years old. 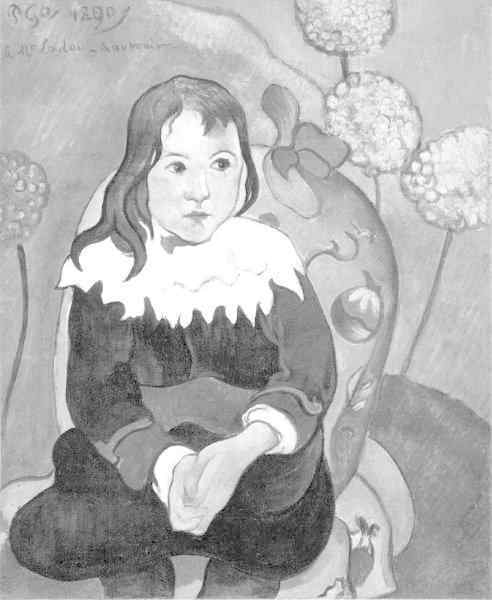 The featured painting on this page, M. Loulou is the portrait of a young boy which Gauguin painted when he was in Brittany. In the background you see hydrangeas which bloomed there during the summer. The painting is a part of the Barnes Collection which was on exhibit at the Kimbell Art Museum in Ft. Worth, Texas in 1994. Press "Go" to search for books about Gauguin. This page displayed 75,223 times.